Super Carenar 28mm f:2.8 is a vintage lens with a terrible and depressing reputation. Mine is korean made, and despite not being the best lens in the world, can take some quite acceptable photos. The center is relatively good but the corners are quite dim and blurred. No big chromatic aberrations are noticed and for video, and with a good sun-cap it turns out to be a good lens. Using f: 5.6, good results can be obtained, with f: 2.8 the bokeh not particularly interesting. The quality of construction is above average for this generation of lenses. 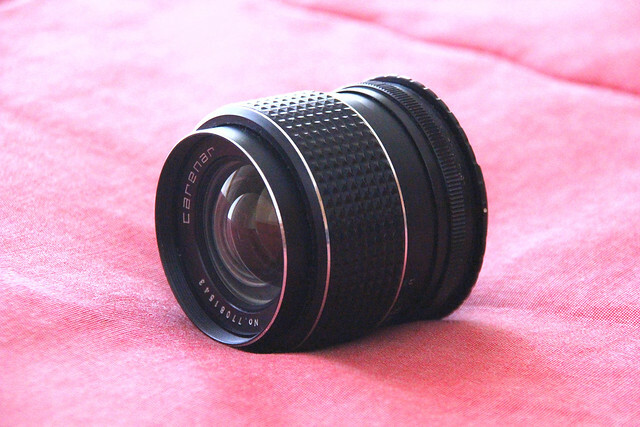 Canon EF-S 18-55mm kit lens.